The picturesque fishing cove of Cadgwith is an easy stroll where you will find The Cadgwith Cove Inn serving locally caught fish, good wine and traditional ales. Just a few minutes drive and you will be into Lizard village, where you will find an excellent restaurant, pub, café’s and fish & chip shop. You can also watch the craftsman turning the Lizard stone into beautiful jewelry and ornaments which can now only be seen and bought on The Lizard Peninsula. Here you can walk to Lizard Lighthouse. Top Tip for a Walk! Leave the car at Chyheira. Stretch your legs on the path on the wall into Lizard Village. Drop into Cross Common Nursery go right to the back to see some excellent tropical plants, reserve one and go back and collect later! Stroll through Lizard Village down to the point for a cream tea at Polpeor. Then take the breathtaking views on the South West Coast Path going east past the Lighthouse, back up to Cadgwith. Ask us about the hidden excellent beach enroute to pass the time in the afternoon - watch those tide times! All set for an excellent Evening Meal in the Cadgwith Cove Inn. Then, amble back to Chyheira. The Lizard peninusla is the most southerly point of the British mainland, with many places worth a visit. Renowned as the birthplace of modern communication with its association to Marconi and his pioneering radio experiments you can visit National trust museums related to his work. Britain's most southerly cafe - Polpeor Cafe with unrivalled views, almost Britain's most southerly cafe Wavecrest Cafe - also with the most excellent views, there is even Britain's most southerly Post Office (on the main land!). Our local butchers Retallack Butchers. Top Walking Tip! 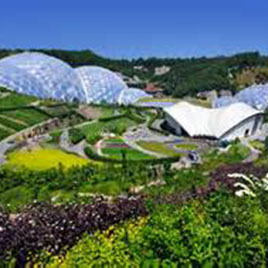 Park at Lizard Village, take the breathtaking coastal return walk to Kynance Cove, have a cream tea at the Kynance Cove Cafe, then stroll back to Lizard Point to see the views from Britain's most Southerly Point, maybe a beer or wine at Polpeor. Then amble back to the Lizard Green to visit either The Top House or The Witchball for an evening meal. 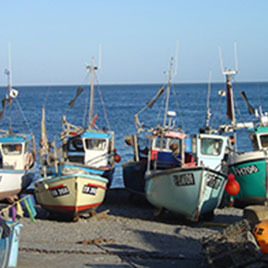 The local villages of Mullion Cove, Coverack and Porthleven are close by where you can hire a boat for fishing, go diving or enjoy a lovely fish supper. Local crafts include Trencance hand made chocolate Roskilly's​ delicious ice cream, Lizard ciders and wines and many art and craft studios. 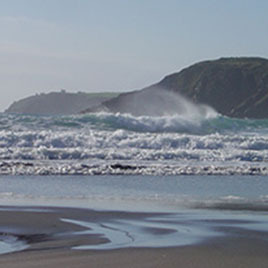 The wonderful beaches of Kynance Cove and Kennack Sands are only minutes away. The above links and information we provide are with the best intentions, and hope that they help our guests and fellow travellers. However, please understand that we do not take any responsibility for them.